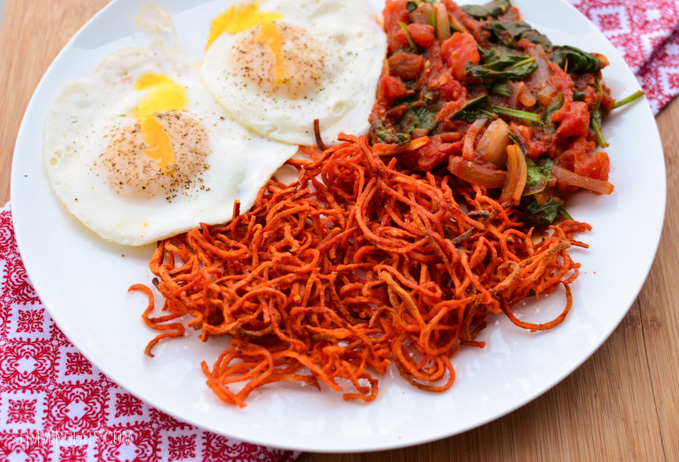 I love sweet potato hash, it is so easy to make and is delicious served with eggs. It also means you free up a Healthy Extra serving for later in the day. But this one looks pretty close and gets a high rating. 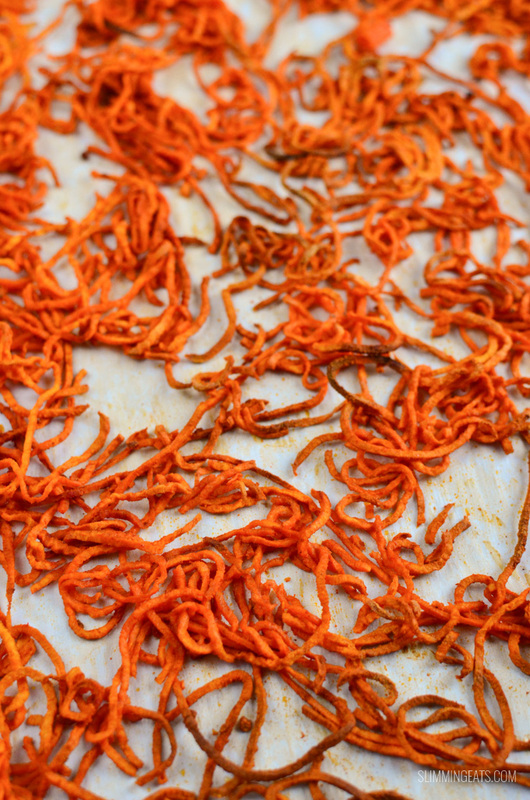 but if you don’t have one of these, you can grate it instead, you just won’t get the lovely spirals of sweet potato. 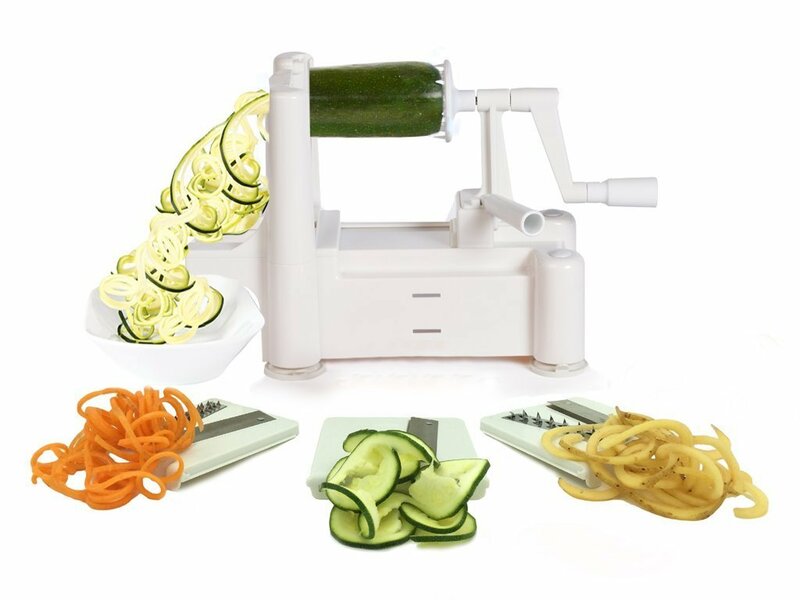 I love my spiralizer and use it weekly at the very least. It is great for making speed vegetables more interesting when adding them to your plate. This is also great for making up in advance and the putting in a lidded tub in the fridge. All you have to do is just place in the oven or a pan to heat up. 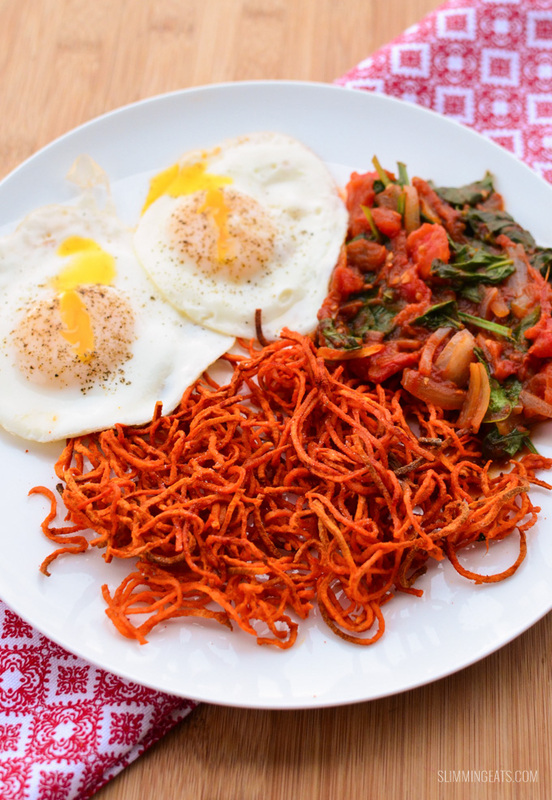 TIP: Half bake the spiralled sweet potato the night before, then finish the baking in the morning – the result is very crispy delicious sweet potato hash. Infact I find it gets more crispy this way. Which gives you another reason to make this in advance. I like to serve this with eggs, either fried, poached or scrambled and balsamic tomatoes and spinach for a high satiety breakfast. But it doesn’t have to be kept to just breakfast meals, it would be great instead of syn free chips with a main meal too. Spread out sweet potato over tray, don't have it piled too much together, as it will go soggy and mushy. Take out half way through cooking, just to roughly flip. 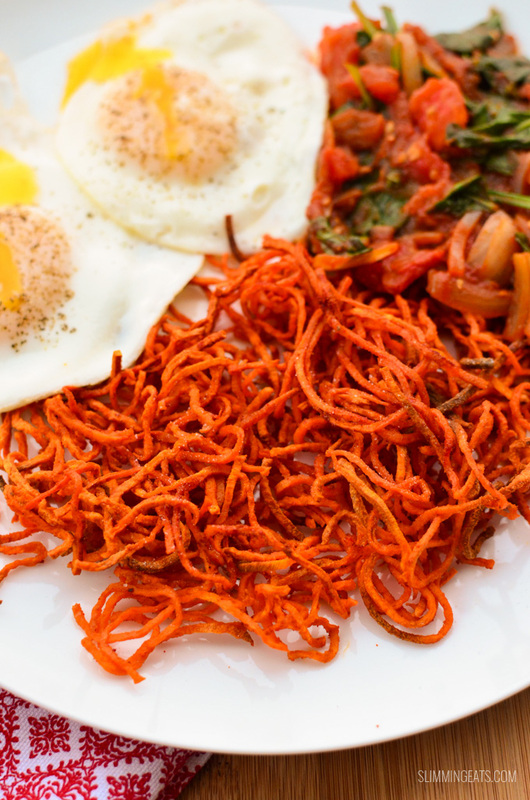 Serve with eggs or your choice of dish.